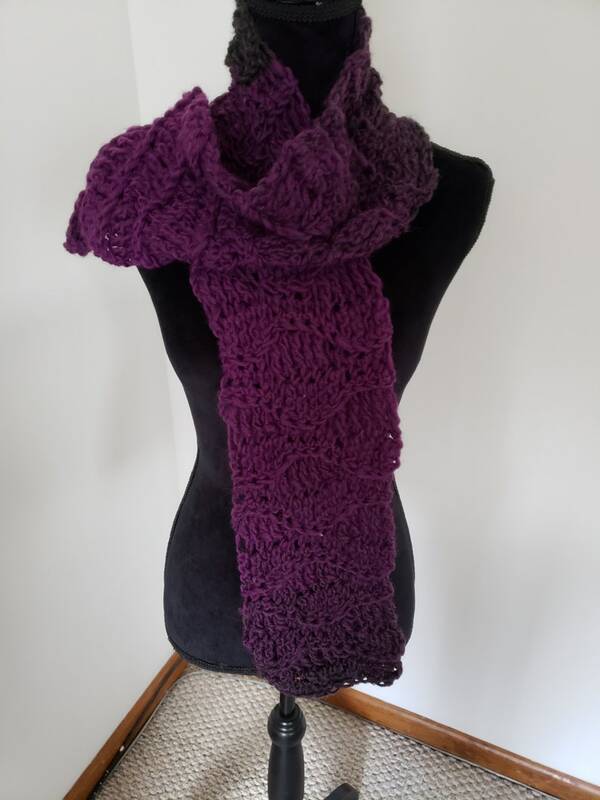 This scarf is crocheted in a very soft warm acrylic and wool yarn. I used a chunky yarn which is so very soft and cuddly. The yarn is a multi-color with shades of gray and burgundy. There is an attractive wavy stitch running throughout the scarf. It is great for cool to blustery days. Perfect for ladies, men, and teens. Beautiful with jeans. It is nice and long and measures 56 inches in length and 8 inches wide. The scarf can be machine washed cool and lay flat to dry. There are also a pair of matching wrist warmers in my shop that would make a nice gift set!